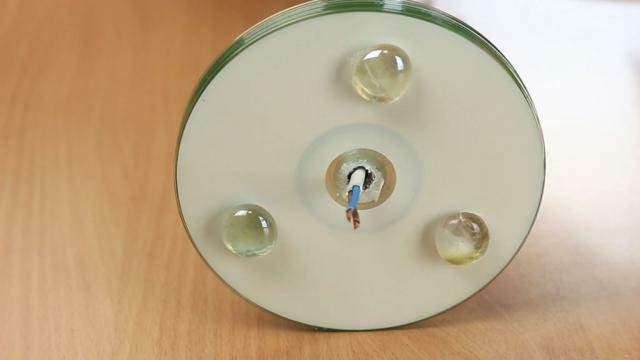 How to make DIY hi-tech lamp. 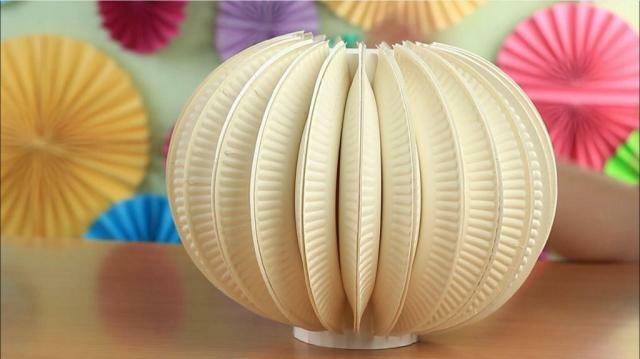 In this tutorial we'll show you a beautiful design idea that help you to craft an amazig lamp using paper plates. 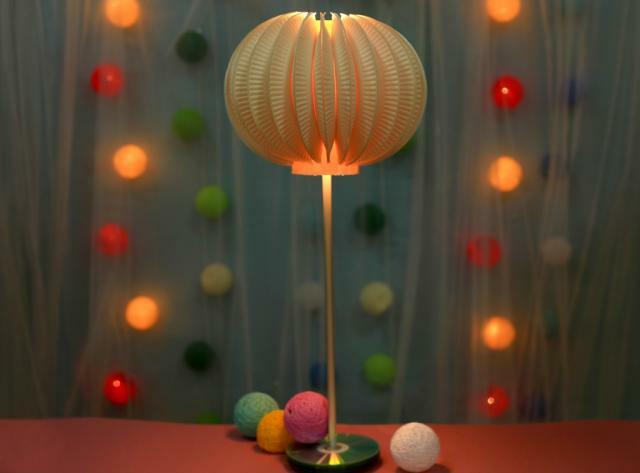 This awesome handmade lamp will perfectly decorate the modern interior and create a cozy, intimate atmosphere with the soft light! Mark the center of a paper plate. Draw two parallel lines at equal intervals beyond the center. There should be 3/8 inch between the lines. Make cuts across the lines. Cut out at the bottom border and repeat for the other side. 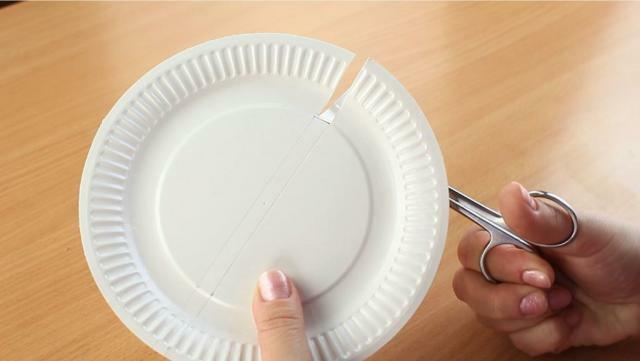 Score the rest of the lines using a sharp end of the scissors. Fold across the scored lines. Make a couple of dozens same elements. 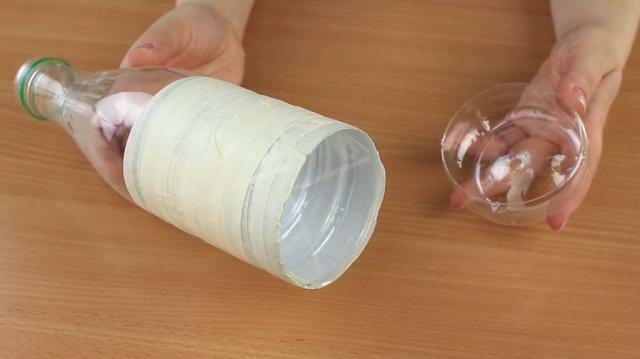 Make a small hole in the bottom of a plastic bottle. Then cut out the bottom. Mark the up and down plate borders on the white cardboard and draw a square of the marked size. Score the lines at 3/8 inch intervals. Fold the cardboard forming a cylinder. Then wrap it around the plastic bottom and hot glue the cylinder. Stick the bottom inside. The base of the lampshade is ready! 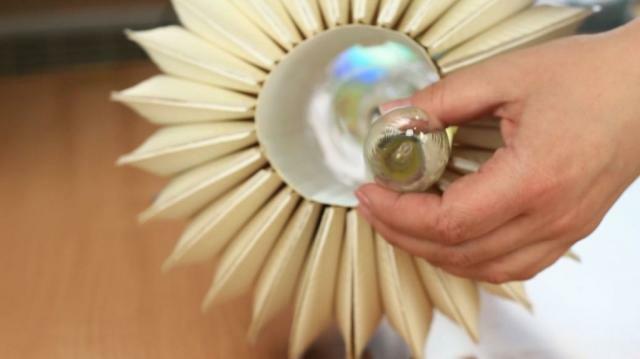 Attach the folded plate facet to the base. Align at the top. 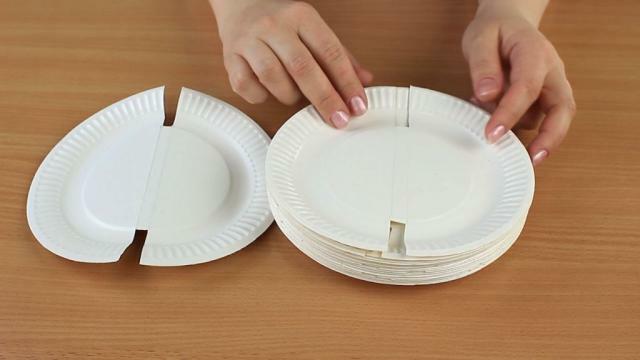 Hot glue the plates next to each other. 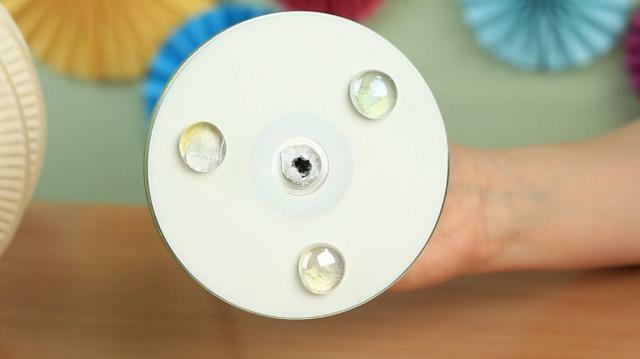 Put a used CD into the box, then add some hot glue. Place another CD on top. Hot glue a pile of 5-6 CDs more. 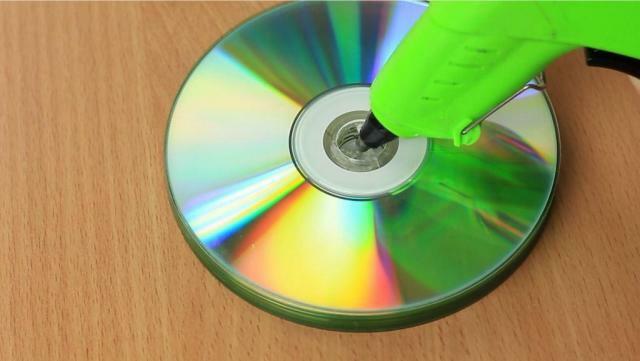 Remove the discs from the box. 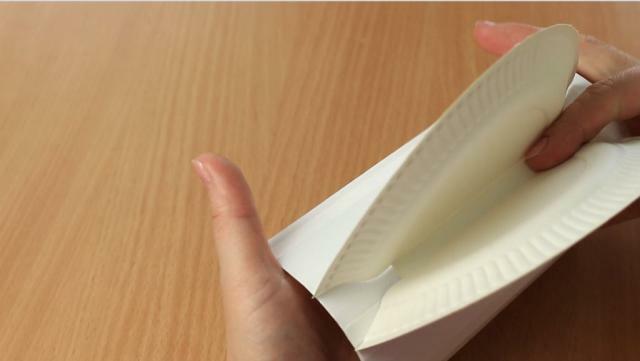 Place a piece of paper under the central hole to protect the surface. Add hot glue. Put a metal tube into the center. Be careful to hold the tube upright until the glue is dry. 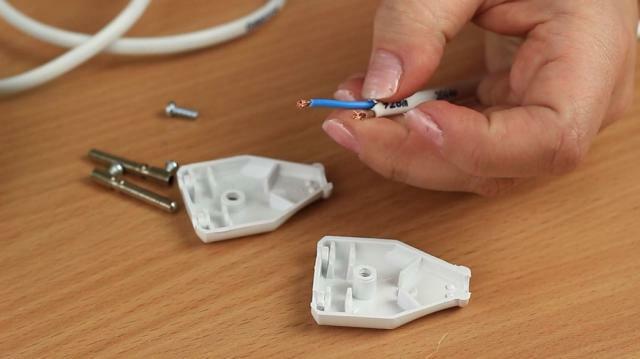 Remove the glue from the tube to pass the wire through. Attach the glass stones to the underside of the stand. Three stones will be enough. 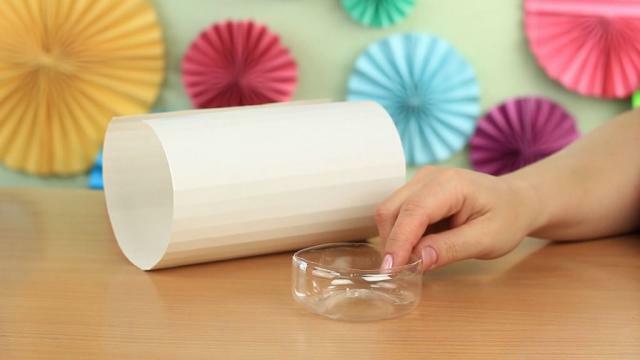 Wrap a piece of paper around a pencil and put it inside the tube on the top to avoid pouring the hot glue inside. 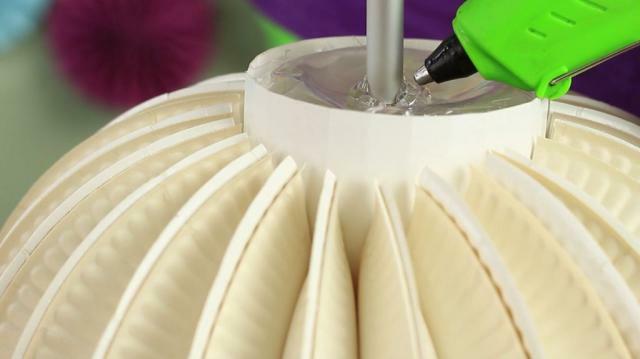 Put the stand with the pencil into the lampshade underside and hot glue the attachment place. Hold the stand upright until the glue is dry. Then remove the pencil carefully. Let’s light the lamp. Dismantle the plug. Place the wire into the lampstand and pass it through to get from underside. Screw the lamp into the socket. Then assemble the plug. The awesome hi-tech lamp will decorate the modern interior and create a cozy, intimate atmosphere with the soft light.